In a Nutshell: Digital data is often the most valuable property that small business owners possess. But backing up that data is often far down the list of priorities due to the time and money it can involve. IsoBuster makes it easy and affordable for entrepreneurs to implement a data recovery plan with products that have a proven track record of success. IsoBuster software is designed to give small business owners peace of mind that invaluable data won’t be lost due to equipment or hardware failure. That means business owners who can’t afford to spend time worrying about the safety of their data won’t have to. Customer databases, source code, development plans, and other electronic documents are vital to doing business in today’s world of both digital transactions and marketing. But that data is never far from being lost forever — whether due to a cyber attack, equipment failure, or natural disaster. Peter Van Hove turned his coding hobby into IsoBuster, an affordable data recovery software. If proper backup and recovery protocols are not in place, replacing valuable data can be time-consuming — if not impossible. But it doesn’t take a dedicated cloud or server rack for SMBs to cover their digital assets. 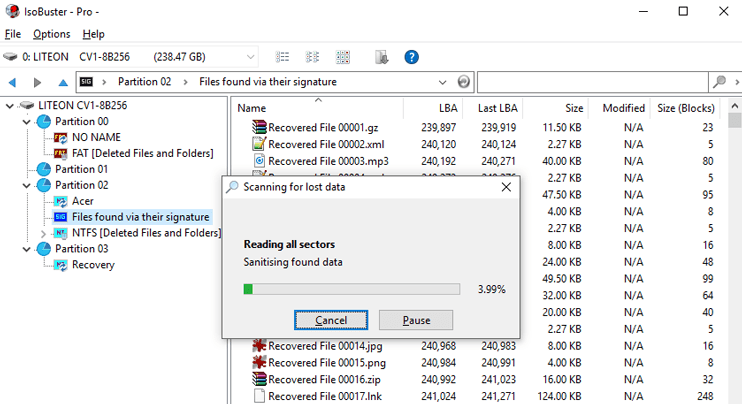 IsoBuster data recovery software gives entrepreneurs and small business owners the tools they need to recover lost or deleted files from a wide variety of media, including CD/DVD, hard drives, USB flash drives, zip drives, and memory cards. With a proven 20-year track record in the recovery space, IsoBuster helps SMBs level the playing field with the larger companies that have more complex — and expensive — data recovery systems in place and helps them stay agile and competitive in the marketplace. Peter both founded his company, Smart Projects, and launched IsoBuster in 1995. At the time, he worked for electronics giant Philips in the division that had developed the CD writer, and, later, DVD writers. In that role, he did minimal coding, but found the field interesting and decided he wanted to pursue it further — as a hobby at first. Soon he became so good at writing code that his colleagues convinced him to begin charging a small fee for his services. Peter said he began making some “extra beer money,” but it soon grew to provide more than he expected. Then, Philips decided to move the division in which Peter worked to Taipei and offered him a different position at an office a couple hours away from his home. He declined the job offer and decided instead to take the entrepreneurial plunge. IsoBuster can recover data from a variety of different storage mediums used by small businesses. At first, Peter focused Smart Projects and IsoBuster on CD, DVD, and Blu-ray Disc technology. Over two decades, the company expanded to offer software to back up and recover data from a broad spectrum of carriers, including optical, hard drives, flash drives, and solid-state drives. Computer forensics and data recovery experts routinely rely on IsoBuster, but licenses also remain affordable for personal and small business use. As technology has advanced, digital and electronic recordkeeping is now the norm for companies. Maintaining access to those files is essential to the survival of a business, let alone competition and growth. Customer databases, inventory lists, business proposals, strategic plans, and even source codes are just a few examples of valuable data and documents business owners can’t afford to lose. Peter said efficient and affordable solutions like IsoBuster are important because the devices on which small businesses store their data will inevitably have problems. IsoBuster software specializes in recovering data quickly, easily, and at a price point that is inclusive for SMBs. 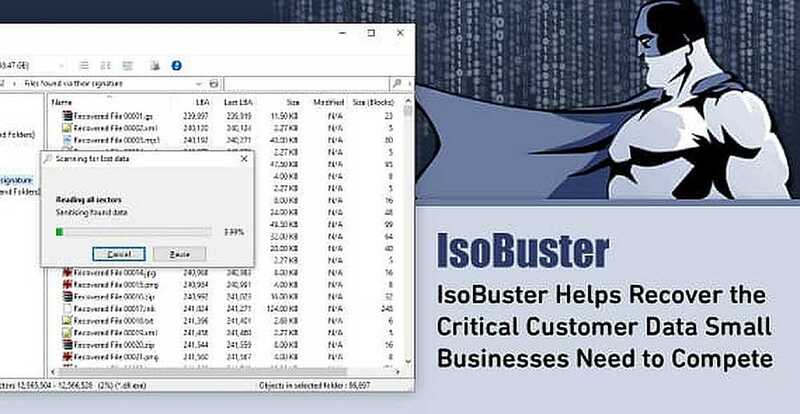 A free version of IsoBuster is available to handle CDs, DVDs, and ISO images. Personal licenses with more features and professional licenses with advanced tools for recovering files — as well as tech support — come with a fee. IsoBuster supports all disc formats and standard file systems. That includes hard drives, flash drives, memory sticks, media cards, and many more mediums. Smart Projects recently released IsoBuster version 4.0, which includes a series of upgrades over earlier versions. With each version, feedback from those who use the software reinforces Peter’s commitment to improvement. He said when customers buy a license, that transaction marks the beginning of his commitment to them, not the end. Small business owners need assurance that the electronic data and records they rely on to operate and grow will always be available to them. The IsoBuster data recovery software is an affordable and proven safety net for their data. IsoBuster software provides enterprise-level safeguards to entrepreneurs, giving them peace of mind to focus on competition and growth. Owner and founder Peter Van Hove also brings more than 20 years of experience, expertise, and a commitment to improvement and customer service.